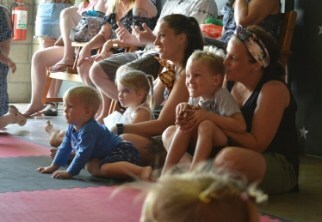 The Burning Circus came up to Darwin over 5 years ago and now and it has their hearts! Like many people you hear from they come visit Darwin and then sure enough they end up moving back here. Darwin has that effect on people. They originally came up here to perform at the Mindil Beach Markets and never left. From the moment they arrived everyone was so friendly. They fell in love with the people and the beautiful surroundings. There are so many opportunities here and they have been working hard to build their dream and share the love. They also fell pregnant with their beautiful daughter here and decided it was a wonderful place to raise her. They are so excited for her future to see her play and grow as a person. When did you guys get into circus and what do you love most about it? Circus is everything to us, we live and breathe it everyday of our lives! In fact Circus is the reason we met, I was buying juggling balls and Brad was at the circus shop. We just hit it off straight away and after and hour of laughing and sharing tricks we exchanged numbers and the rest is history. Brad began learning circus arts when he was a boy because he wanted to be a ninja turtle! True fact! I got into Circus at the age of 16 after seeing a performance I was so inspired! Circus has changed my life! I used to be very shy and have a lot of self doubt but being in such a nurturing and encouraging environment changed all of that. 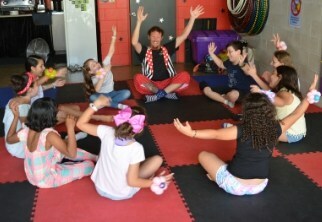 We are extremely passionate about sharing circus, it is fun, challenging, improves focus, teaches body awareness, co-ordination, balance, it also connects you world wide it an amazing circus community. The vision we had for opening HQ is that we wanted to bring to life a fun and safe space for everyone. To create, connect, learn and play. It has been a tough but rewarding journey and every time we see the smiles on faces it ignites the passion even more. The Grand Opening was a really intimate and fun day, early in the morning all of our wonderful friends surprised us and came early to help us set up and run last errands. 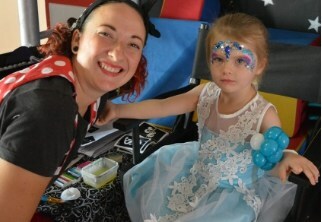 We had face painting, balloons, circus shows and workshops, although the event wasn’t very busy it was just the perfect amount of beautiful people. That day was a huge inspiration to us because although we had the vision for HQ once we saw what the space could offer people and families we knew that we could help to facilitate so much magic. 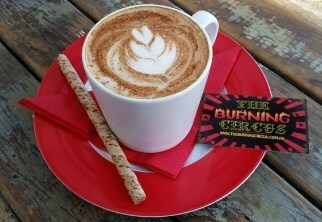 The Burning Circus headquarters has been transformed into the Big Top Coffee Shop. It is located at Unit 2/6 Charles Street Stuart Park. 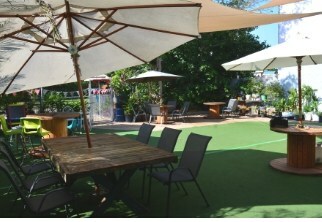 You can relax in the air con, put your feet up and immerse yourself in the quirky circus vibe. 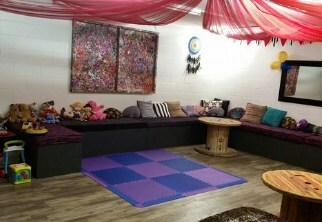 A fantastic play space for the kids and adults. It is fast becoming a popular space for Mums playgroups to catch up with their bubs and little ones, they have an enclosed fenced yard outdoor space as well as indoor play space. You can get together a group of friends for a much needed catch up. Enjoy their fun friendly place and their organic coffee! They also have free WiFi and toys for the kids to be entertained. The Big Top Coffee Shop is open Monday to Friday. From 8 am to 1.30 pm. 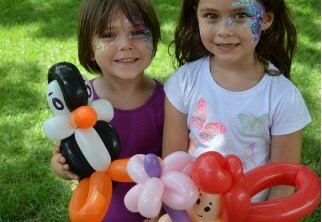 $5 entry per child for their open play sessions. 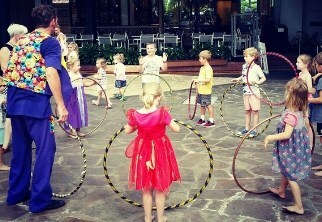 Mondays 3.30 to 4.30 pm – Circus workshop for kids aged 5-8 years. NT Sports vouchers are accepted. 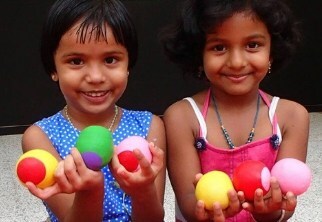 Last Monday and Thursday of each month there will be their Circus play dates for toddlers aged 2 to 4 . 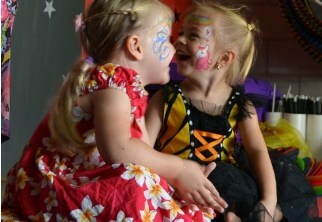 These sessions will run 9 am till 10 am and are a casual booking costing $10 per child. For more information and to keep up with what events around town they are performing at Follow them on Facebook, Instagram and check out their directory listing. 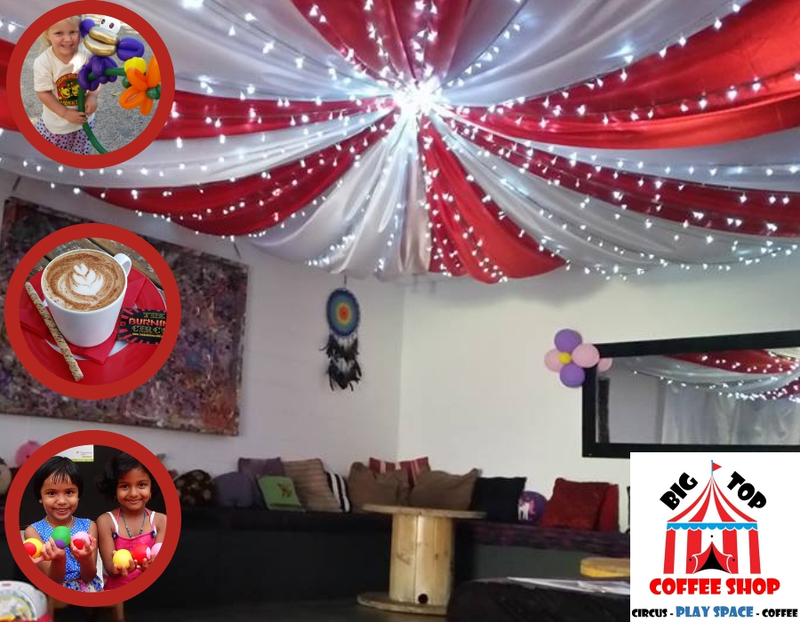 Why not head into the Burning Circus Big Top coffee shop today for a coffee and let the kids play! Head over and LIKE the Big Top Coffee Shop Facebook page for all your updates!